You expect precision parts that are in-spec, on-time and on-budget. But did you know that a conversation with a manufacturing engineer at your precision machine shop can go a long way in ensuring that you get exactly what you want at a lower price? From material selection to design specifications, manufacturing engineers can help you find the most cost-effective machining process while still ensuring the highest quality. Check out these three quick tips from the manufacturing engineers at Micro-Matics to help you bring down the cost and increase the efficiency of your next project. When designing a part, you specify a material for its properties – whether it’s corrosion resistance, durability or strength. Often a number of materials will meet your needs, but some are much easier to machine than others. For example, you may design a part with 304 or 316 stainless steel specified but could actually use 303 stainless or titanium for the same effect. Because 303 stainless and titanium are much easier-to-machine materials, they drive down the total cost of your component, since there is less maintenance and tool wear. 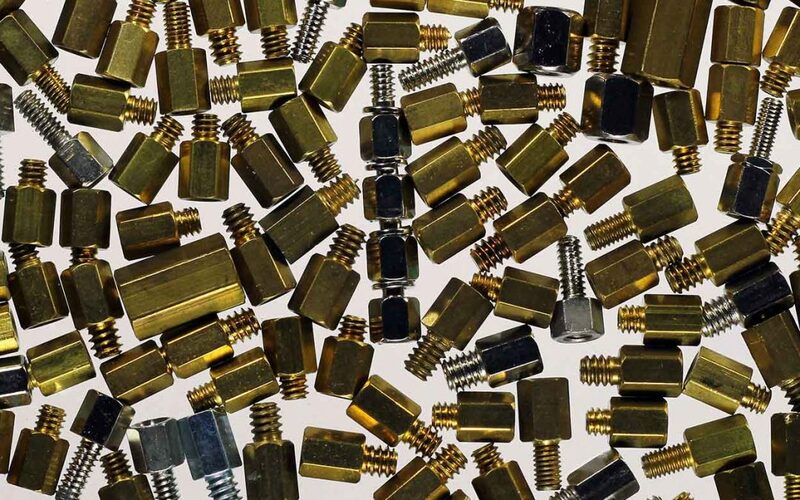 Recommendation: It’s a good idea to engage with your precision machine shop early in the design or prototyping phase to discuss material selection. Experienced manufacturing engineers and machinists can usually recommend which materials will meet your goals while keeping your costs down. Often, you work with a precision or Swiss machine shop because you need parts with tight tolerances. However, the cost implications for specifying a tolerance that is tighter than what you actually need can be high. “More inspection, tool replacement and monitoring is required for tighter tolerances, which drives up the cost of the part,” said Allen Cossairt, an Engineer and Sales Manager with Micro-Matics since 1997. Relaxing a tolerance can also result in less fallout, more predictive parts and faster cycle times. Plus, according to Patrick Kari, Manufacturing Engineer with Micro-Matics since 1989, the end result is often a quicker delivery of your parts. When parts must be thrown away, the machining process becomes longer and more expensive, due to the extra time and material needed to run the order. Recommendation: Many Swiss machine shops can hold tolerances as tight as +/- .0001 inches, and sometimes you absolutely need a tolerance that tight. However, if you have room to loosen that tolerance, you can save time and money. Two design specifications can add significant time and cost to your project – sharp corners and flat-bottomed holes. Sharp corners are difficult to hold because they produce burrs or excess material at the intersections, corners and holes. Recommendation: When possible, specify corner breaks or chamfers instead of sharp corners. Even a small corner break callout of .003 max makes a world of difference in machinability and consistency of the part. Flat-bottomed holes require extra tooling and therefore extra time and cost. When producing a hole with a drill it leaves an angle in the bottom. In order to make a flat bottom, machinists must use a separate tool to produce that feature, which drives up the inspection and maintenance time. Recommendation: If your design allows, a hole with a drill point requires much less machining and reduces cost. The Takeaway The best time for engineers to engage with a precision machine shop is early in the design phase. Before your design is locked in with certain materials or machining operations, you can work with machine shops to find cost-effective solutions. Because these shops work with a wide array of materials and tooling operations they can often recommend options that lower costs while meeting the highest quality standards. The manufacturing team at Micro-Matics has a combined 150+ years working on Swiss precision parts. We regularly engage with our customers to create the most cost-effective manufacturing processes for their designs while maintaining exacting quality standards. For more information about our capabilities or to request a quote or custom prototype, please contact us.